HDR (High Dynamic Range) images have many uses these days. When made into a full 360-degree spherical image map, they can be used in 3D applications as a backdrop and can even light the scene instead of using 3d lights. 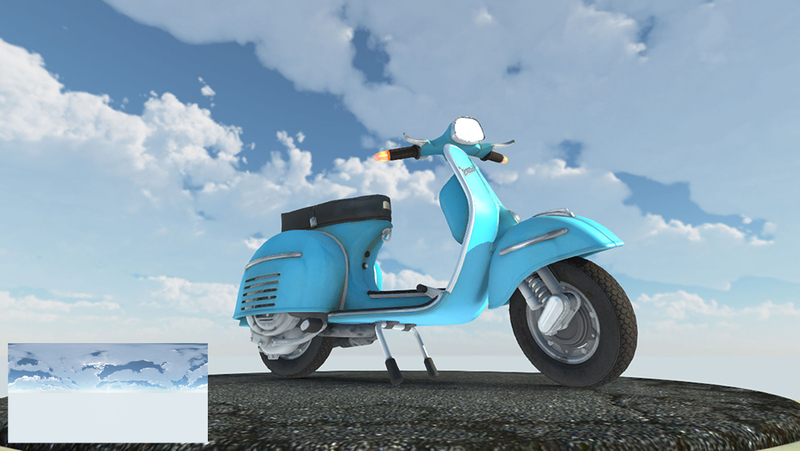 In video games, you can even use them for real-time lighting, such as Marmoset’s Skyshop extension for Unity3d. 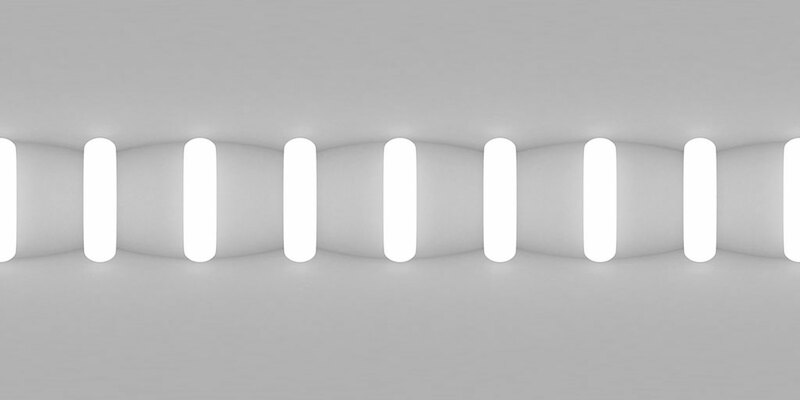 Think of it this way- the brighter the pixel in the HDR image, the more light or reflection is given at that point. Dark pixels give no lighting or reflection. Typically creating HDR images involves taking many photos at different exposure points and then combining the shots in an application like Photoshop. Then you have to stitch it all together and hope you don’t have to do too much clean up work on it. 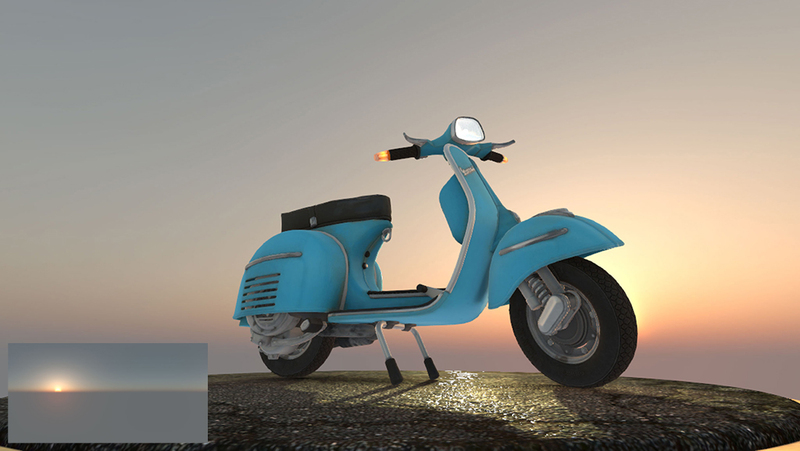 We’ve done it a bit different from the norm and created our HDR images purely from 3D programs, such as e-on software’s Vue and Autodesk Maya. Instead of going out in the wild and taking photos, the computers do the work. 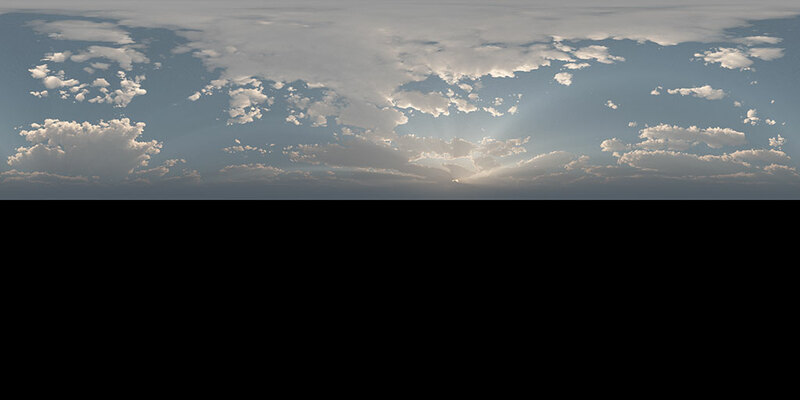 Vue, a 3D tool for rendering natural environments, has a feature to export skies in spherical HDR format. 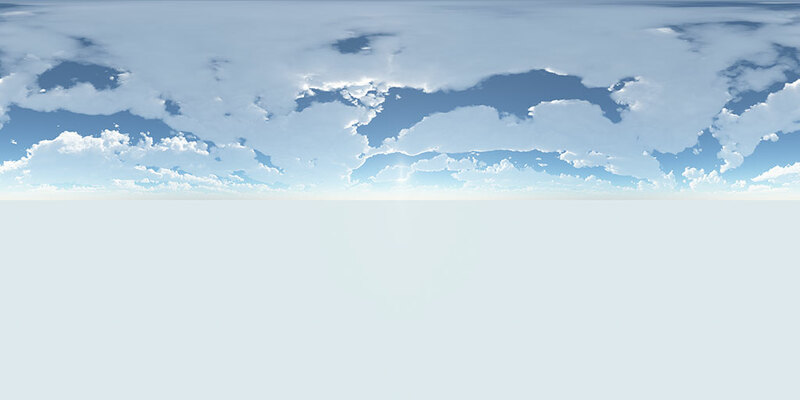 So create your sky with a few clicks, then setup your render to spit out a full 360 degree HDR image. 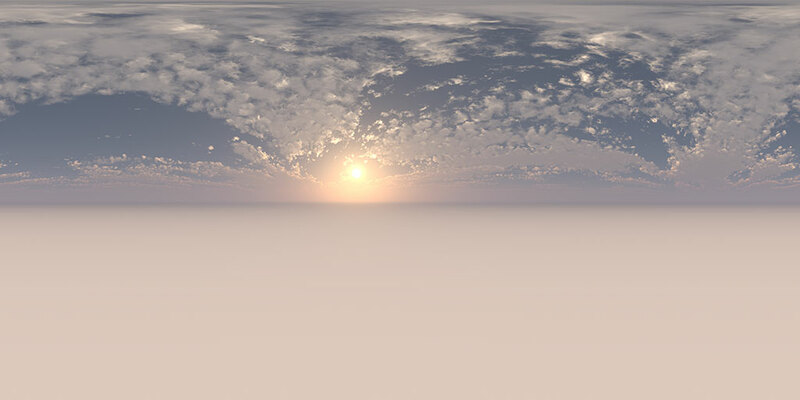 Maya, with a little help from mental ray or Vray, can render a spherical HDR map as well. Hence the name of the bundle, Synthetik Skies. 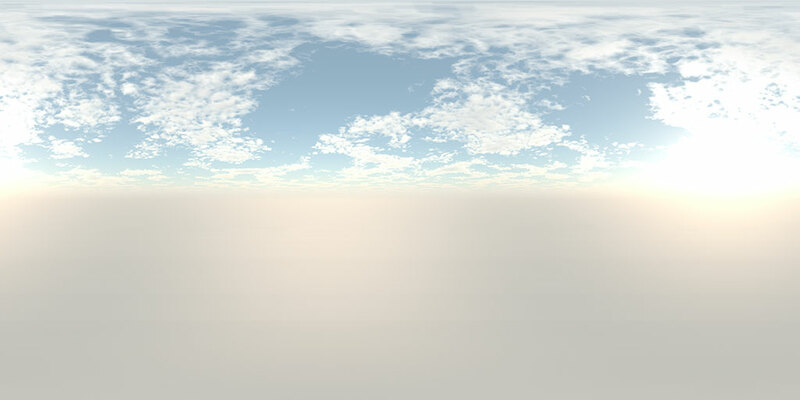 Vue was used to render the typical sky images in the pack, but sometimes you may not want a sky.  You may want just a solid background, but you still need your object to reflect something. Think about it- chrome isn’t chrome if it’s not reflecting something. 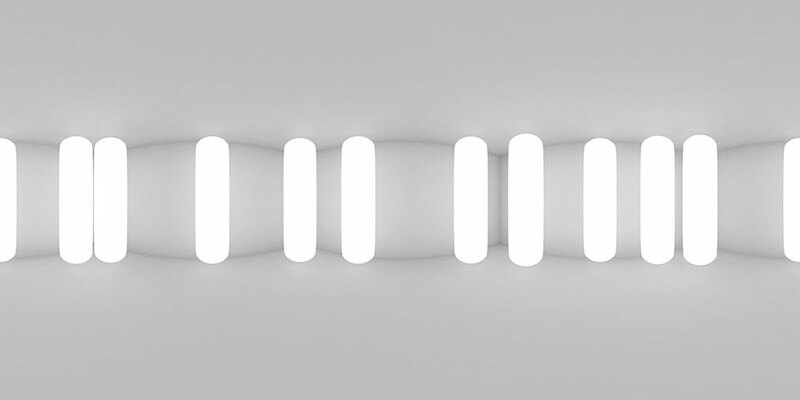 So Maya was used to render simple shapes, in our case, white illuminated capsules in a square room. 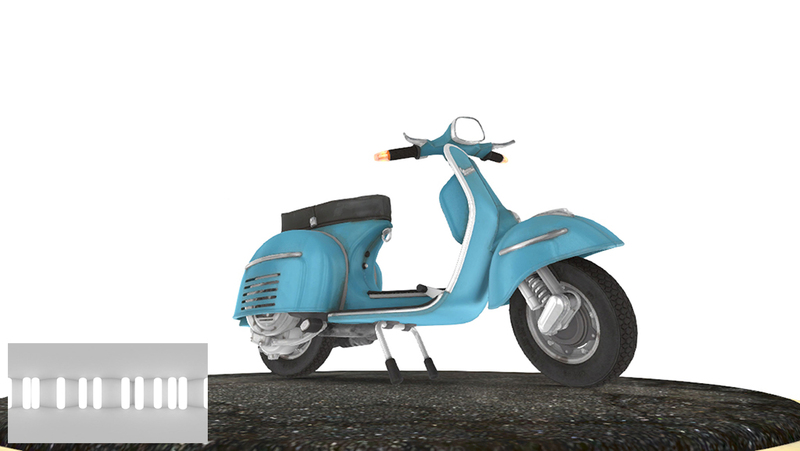 This makes for nice reflections on our vespa. This technique is pretty common and popular when showing off new products, such as a watch, tablet, or smartphone. We’ll follow-up with a tutorial on how that’s accomplished later. Here’s the best part: They’re FREE. Have at them for commercial and non-commercial use. 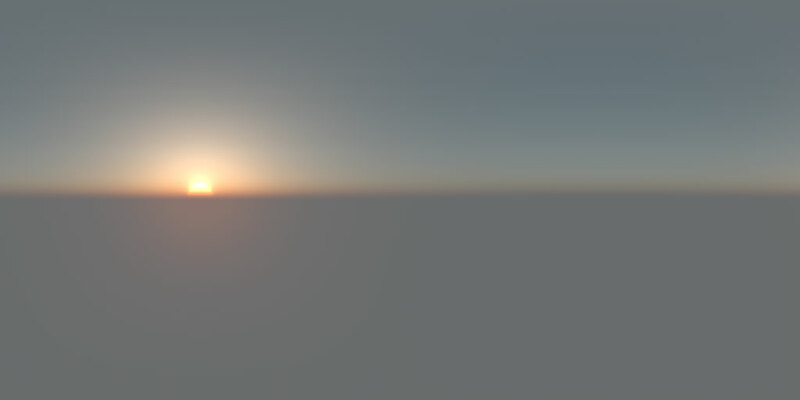 Use them in your games, animations, product visualization- whatever you want. You’re welcome. The Bigger Design is a hands-on kind of place. We tear down and build everything from computers to robots. So it just goes to say that we think a little different when it comes to marketing. That and we like to save our scratch for the fun stuff. Case in point: our LEGO logo. Created with the highly effective interlocking method and a mess of blue bricks, we made this tabletop display to really stand out. Plus, it was easy and fun. Especially with the construction crew we secured from E-bay. Piles to stencil to awesome in just a few days. Another case in point: our massive stamp. Ever printed envelopes and then rendered them useless by moving? Me too. After making that mistake once, we invested $85 in a Texas-sized stamp (and inkpad the size of an aircraft carrier) that marks everything from envelopes to boxes. Plus, stamping is almost as fun as LEGOs. Almost. Last case in point: business signage. If you’re like us, you work in a cool place with a bunch of cool people. But you need to make your mark somehow so clients and lunch dates can locate you fast. 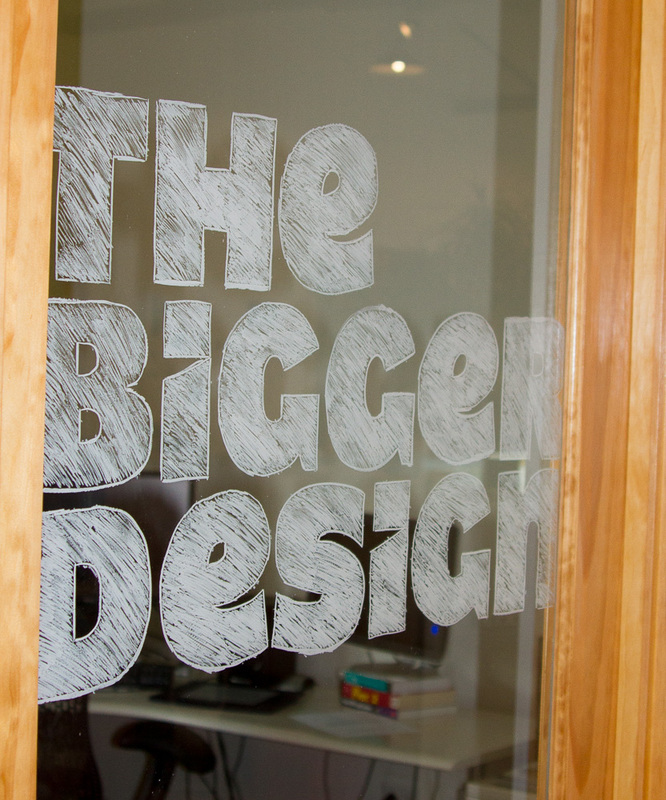 We created our company sign on a glass door using a new-fangled high-tech device called a “grease pencil.” Seriously. People love it so much they want to touch it. And they can because the drawing is on the inside of the glass. It doesn’t smear as long as you keep them rubbing the front of the glass not the back. 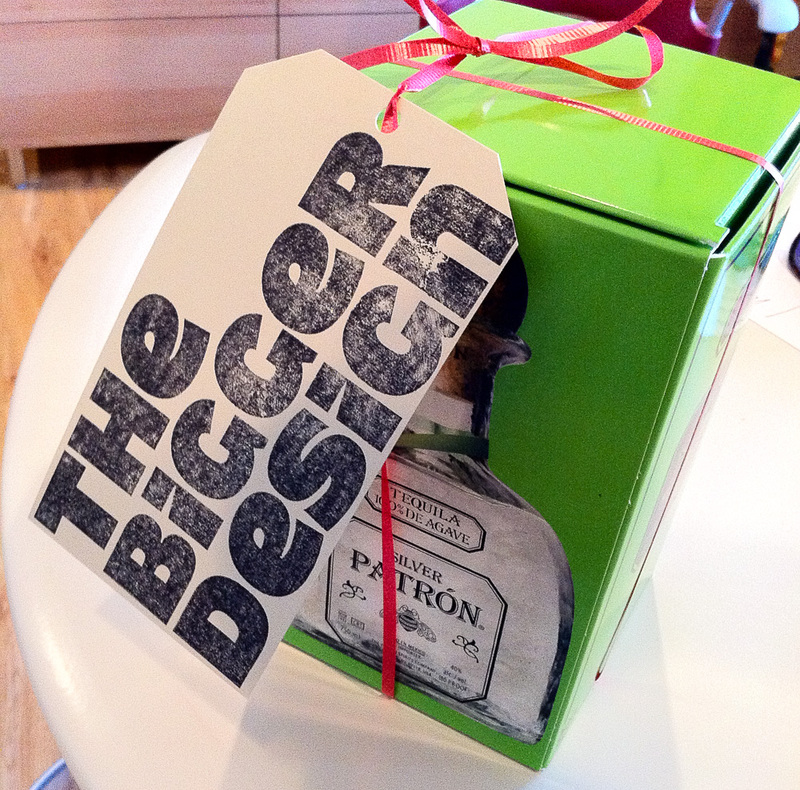 So whatever you’re doing—whether signage, letterhead or proposals—be crafty with your brand. Ingenuity can save you money and provide hours of fun. What’s been your craftiest marketing tactic?